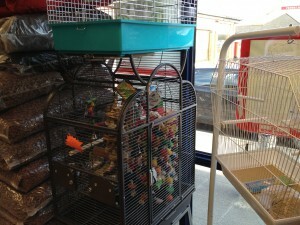 Pet shop Gloucester trade show ranges now coming into stock. Last week we visited the annual PATS show at Sandown. It’s one of those shows you take your credit card to and hope you get away without spending too much money.On the other hand you can come away with some fantastic deals and we have. 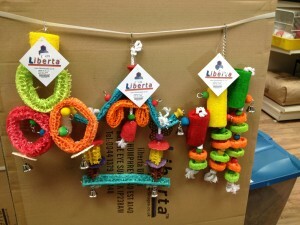 These have started to arrive at our pet shop Gloucester and appearing on our shelves. 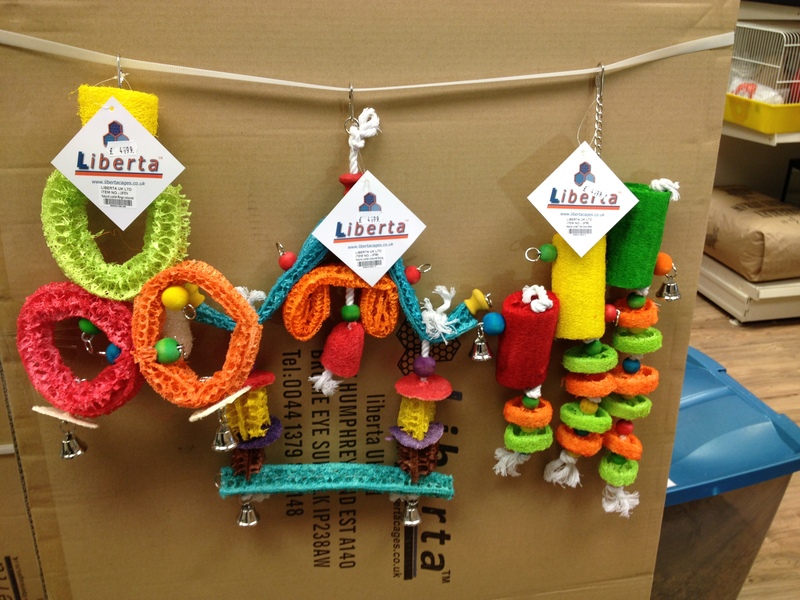 We have some new wooden and rope parrot toys in stock at great prices and a new range of natural loofah parrot toys at prices below those on Amazon (lowest price on Amazon 25/03/13 – £5.50) at £4.99. The deal we achieved has also allowed us to drop the price of all our bird cages (finch to parrot) by a whopping 20% off until the 1st of April (Easter Monday). This is whilst current stocks last though so get in quick. 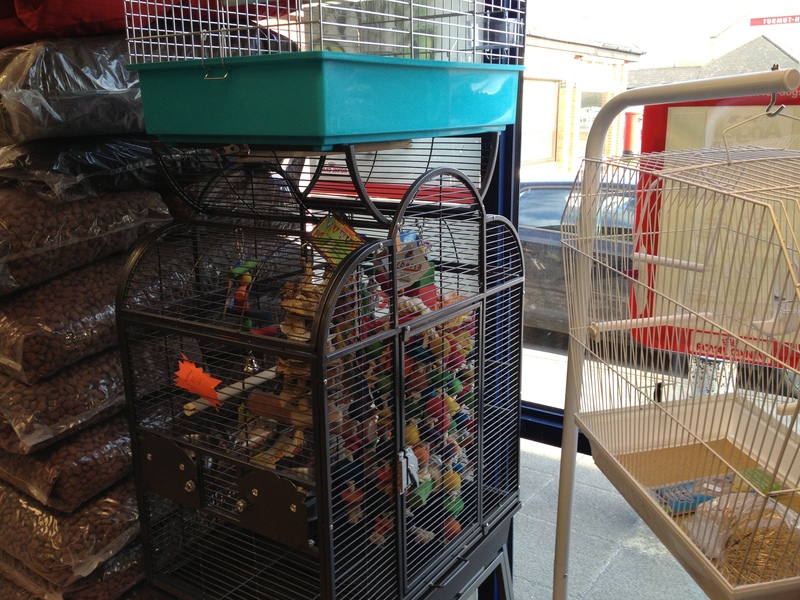 Don’t forget our pet shop Gloucester is open all over the bank holiday weekend as usual. We have more fantastic deals coming into our pet shop Gloucester over the next week or two from the show so keep a look out for announcements.